You can compel your audience to take action by presenting them with a compelling question. These speech bubbles allow you to say something to your viewers while adding a cool comic element to your design. 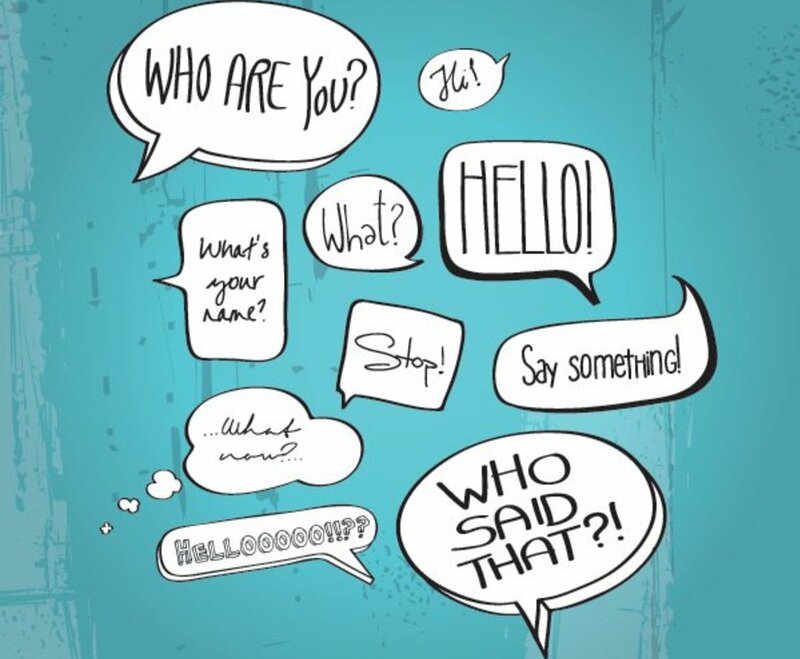 Each of the speech bubbles features clean, legible text, and the presentation contributes some variety to the image. The text elements stick out; they're a clear white and black, effectively contrasted against a grungy teal background with a set of splotches and lines for additional texture. Use the balloons individually or keep them together to create an engaging graphic.